Does the Person with dementia Invent Memories or just lie? One issue with the person who has Alzheimer’s or Dementia is that they look so good. By looking at them, you would never know they have a problem. They don’t look sick . They don’t have a cold, or runny nose, or high fever. They look so normal that we’re totally surprised by their odd behavior and story-telling and have to wonder if it’s all contrived. 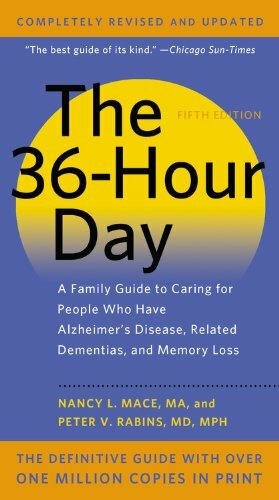 The 36-Hour Day, from John Hopkins Press, states: “When a person has a stroke and cannot speak, we know that the stroke occurred in the speech center of the brain and destroyed cells that are necessary for the person to talk. A stroke often causes extensive damage, but to only a few areas of the brain. Alzheimer’s begins damaging the brain many many years before the symptoms of dementia are obvious to anyone other than the person afflicted. Because his memory-loss has occurred slowly, over a long period of time, the sufferer has become very skillful at concealing his disease. So, likewise, the person with Alzheimer’s / dementia has done the same through the early stages of his disease. But over time, his forgetfulness has grown worse and his untruths have grown larger as well, it becomes a daily struggle to cope with a failing memory. 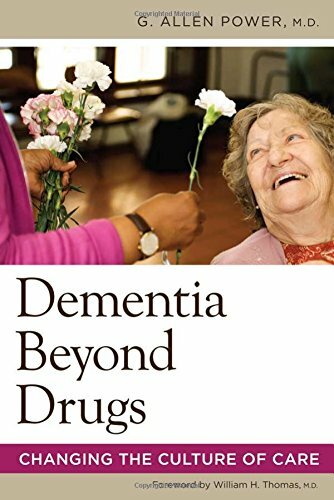 Eventually, the person with Alzheimer’s will be unable to remember things that happened earlier in the same day, such as whether he took his medication that morning or took a short trip to the store for groceries. What happened last week, will be totally gone from his memory soon. And while these memory losses continue to worsen, and eventually he will forget that he is “forgetting,” while the habit of covering-up will continue in earnest. 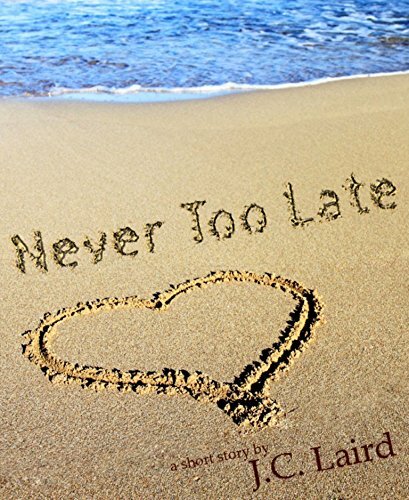 In time, it will become more and more difficult for the person with Alzheimer’s to learn, or retain new information since that area of the brain is the first to be affected by the damage to nerve cells. To adjust to these lapses in memory and continue to cover-up any disability, he will learn to conceal more of his memory-loss. It’s not unusual for someone with Alzheimer’s to conceal their memory-loss so well that no one guesses their severe memory problems until they are near middle-stage Alzheimers. By this time they have invented stories , made excuses and vowed that their memory is in-tact so many times that they believe it themselves. They repeat the same sentence over and over, lie when they forget, pretend when they can’t remember, and simply–keep using the same coping mechanism that’s worked so well for so many years. We all have lapses of memory, more so as we age. 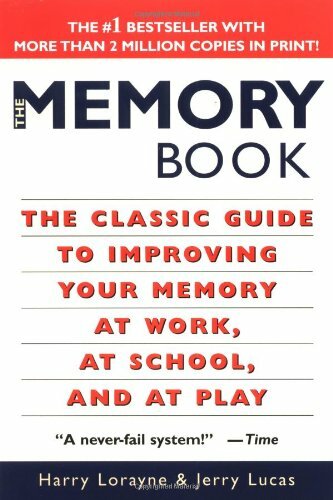 But given a little extra time, even older people can retrieve a forgotten memory. When someone has Alzheimer’s these short-term memories are gone forever. They disappear completely. A good memory and sound logic are both requirements for good judgment. When those skills are diminished, so is the ability to reason and make good choices. 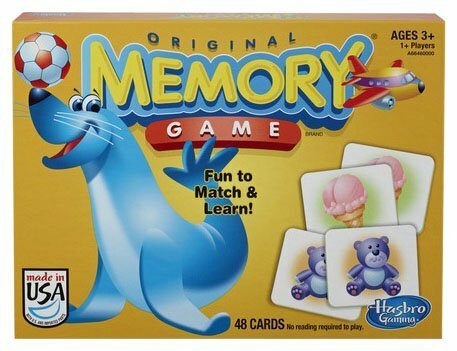 By now, he has already forgotten that he has memory issues at all, so he will believe that his decisions are good and sound and appropriate when he continues to deny his memory-loss. He will not understand that his thinking is faulty and his reasoning is no longer sound. By this stage all choice of behavior is out of his control; he believes the stories he tells and the memories he has invented. Mom told some stories about her childhood and family that were funny and held points of truth, but were mostly false. Some stories Mom told were total fantasy but bothered no one; Mom carried a doll that she claimed to have kept from childhood. In truth, this doll was acquired from a neighbor’s yard sale, but Mom didn’t remember that. Mom would tell her doctor that she’d never been hospitalized, yet she had had many surgeries including a mastectomy that she did not remember, nor did she notice the scars. Where I draw the line on the story-telling issue is when the person with dementia makes false accusations; accusing the caregiver of theft or nursing home employees of abuse. Have you had to deal with this issue. How did you handle story-telling or false accusations from the person with Alzheimer’s / dementia in your life? More often than you think, a person with Alzheimer’s Dementia may falsely accuse a caregiver, family or friend. They might make accusations of abuse or persecution at the hands of a caregiver or nursing home. To be sure, all accusations should be investigated to verify the truth of the matter. 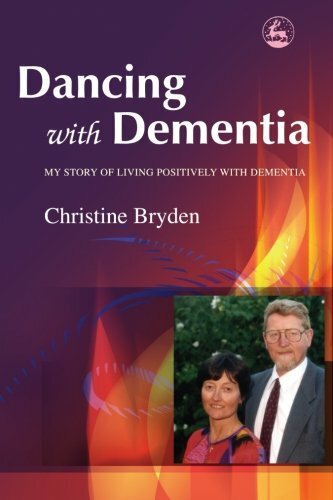 The person with Alzheimer’s does not invent stories from malice. But more often than not, the person with Alzheimer’s is mistaken in their reasoning . It’s more likely that the person with Alzheimer’s misplaced their own property. My Mom seldom put things away in the same place twice because she couldn’t remember where to put them. When she folded clothes or cleaned house, she couldn’t remember where things belonged. Hence, household items were seldom returned to the same place twice, drawers and cabinets became a hodge-podge of various items. I can remember being in Mom’s home, (before Alzheimer’s diagnosis) preparing soup for our lunch. When I asked Mom to get the crackers, her eyes went blank. I assumed it was one of those “senior moments,” (I’ve had a few of those myself). She was caught off guard. But– she never remembered where the crackers were stored and it took both of us searching for an half-hour before we finally found the crackers in a shelf over the entertainment center . I can still remember the oddity of that moment, but still convinced myself it was only mom’s age playing tricks on her. It would be much much later before I realized something was seriously wrong. 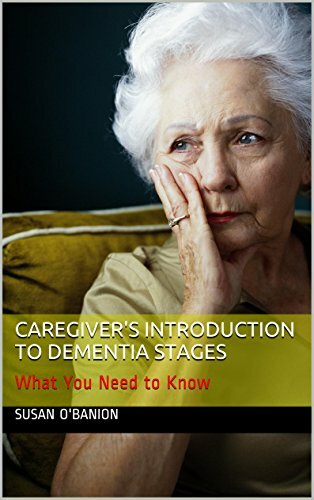 Since the Caregiver is most familiar to the person with Alzheimer’s, and sometimes the only one at hand, they most surely are the one who stole the missing item. There is no rationale to this reasoning, but due to damage to the brain by the build-up of plaque, the person with Alzheimer’s can no longer reach a reasonable conclusion . They simply can not. 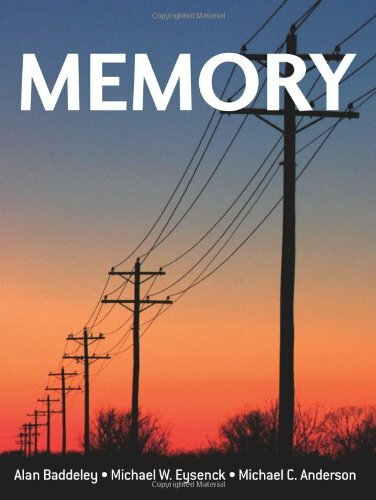 Without short-term memory, the person with Alzheimer’s lives in the moment — all the moments of memory that went before this one moment are gone! 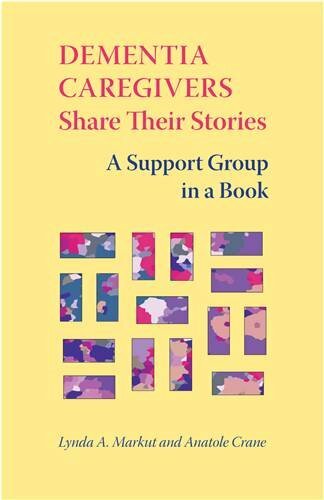 Without memory of all those moments, they won’t remember that they misplaced the item themselves, they won’t remember all the caregiver does in a single day’s time to support and help and care for them. All they know is this one moment: their item is missing and the caregiver is present, she must have taken it. 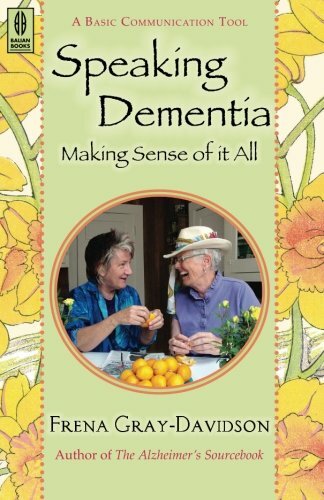 A flawed deduction but the only one that the person with Alzheimer’s is able to make. 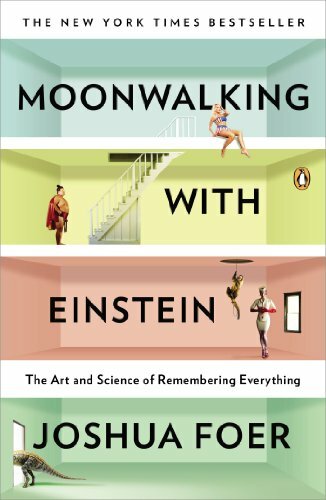 Without memory of past moments, it’s easy to understand why folks with Alzheimer’s remain in a state of confusion for most of the time. Without past memories, they also forget that they are no longer able to drive, or handle their finances, or babysit their grandchildren, or know when to take their medicine, or live alone, etc. Their reasoning about these losses is as flawed as their reasoning about their missing items. The person with mid-to-late stage Alzheimer’s feels as though things, people and places are being stolen away from them. Therefore, they assume the caregiver won’t let them go home, find their mother, drive their car, or spend time alone with their grandchildren, etc. These accusations are so personal and hurtful, the first thing we feel is emotional pain and the need to defend. The temptation is to strike back in an angry tone and let the patient know that they probably misplaced any lost items themselves. Yet, that would be a futile response. No matter how well your reasoning sounds, they will not see your point of view. The plaque has damaged their brain so that their reasoning is flawed. No matter how often you try to explain the fact of the matter to an Alzheimer’s patient, they will not understand. They can’t help it. Most likely, if you confront the Alzheimer’s Patient in an angry or upset mood, they may well become angry and belligerent. To their reasoning, any confrontation is an attack against their person and they may become violent. 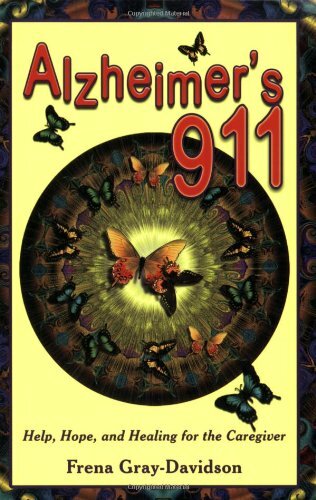 Often the Alzheimer’s or Dementia sufferer makes the same erroneous accusations because items have been removed from their possession for their own safety; car keys, curling iron, medications, power tools, weapons, etc. The first thing to understand is that this suspicious or paranoid behavior can not be controlled by the person with Alzheimer’s. It is totally out of their control. Their reasoning is flawed due to brain damage and they aren’t able to think any other way. Every minute is a new minute and they have no past behavior as a reference to judge any incident. With a little ingenuity, there is always a safe way to handle each new accusation. I retrieved several old bank statements, blacked-out all personal information and identifying account numbers and folded them into her purse. Mom carried her purse on her arm and would sit and go through each item stored in her purse methodically throughout the day. Within weeks those bank statements were soft as cotton from constant handling, but it was reassuring for Mom to check her money at a glance. And all accusations that I was stealing money from her stopped. My brothers thought it was quite ingenious. Thankfully, my brothers were totally supportive of all my actions. We sat down to a family meeting as soon as Mom was diagnosed. Together, we went over bank statements, monthly bills, assets and liabilities. By making many decisions early-on, there were few problems later. If she was billed for a large expenditure such as an hospitalization, or yearly property tax, etc., I simply emailed to let my brothers know. Often, it is more difficult for those family members who don’t see the patient on a regular basis. When hearing any accusations for the first time, they may not understand Alzheimer’s disease and it’s detrimental affect on the person with dementia. Perhaps, a kind way to help them is to offer a gift of knowledge. 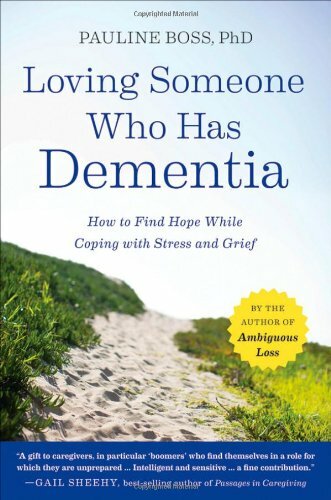 Offer them a book about Alzheimer’s, that explains all the puzzling behavior that you’ve learned to cope with every day.